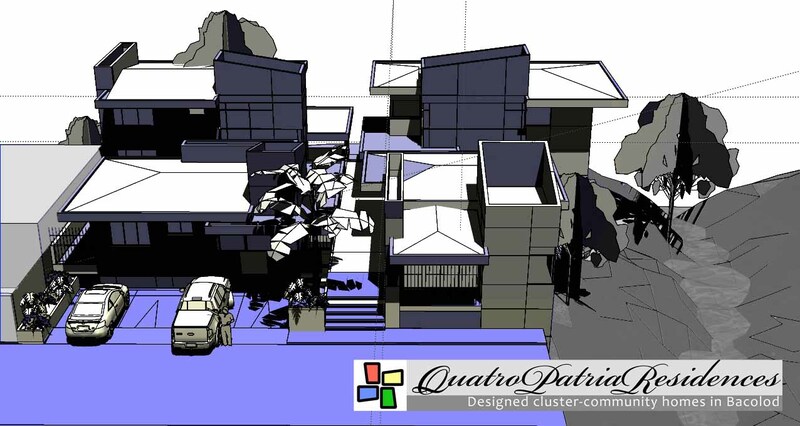 The Quatro Patria Residences was conceived as a study for preferences of upper class Filipino Families outside Metro Manila on small multi-unit residences. The concept calls for small sized lots with an organic design that enhances each unit’s value by complementing its neighbor’s property while standing as a unique individual design. I’m digging this. nami ang inyo concept. i’m looking for a minimalist type and a sustainable home. you just captured my imagination. Hi, I am excited to see more of your portfolio. Please update your website with pictures, I’d love to see them. Thanks!